The Mercedes-Benz 24-Hour Roadside Assistance Program provides help when you need it the most – replacing a flat tire, delivering and jump start in the event of a dead battery, or providing a few gallons of fuel should you accidentally run out. Should your vehicle experience a mechanical issue or is involved in an accident, Mercedes-Benz Roadside Assistance will arrange for a tow to the nearest authorized Mercedes-Benz dealer at no charge for all eligible Mercedes-Benz vehicles. In the event of an accident, Mercedes-Benz Certified Collision Centers ensure that your vehicle is repaired using only Genuine Mercedes-Benz Parts. Roadside Assistance can be reached at 1-800-FOR-MERCEDES (1-800-367-6372) or via the Roadside Assistance App found on the App Store or Google Play. 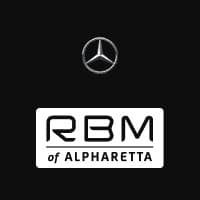 Is under any Mercedes-Benz warranty (New Vehicle Limited Warranty, Extended Limited Warranty, Certified Pre-Owned Warranty). You are eligible for complimentary Mercedes-Benz Roadside Assistance. Was purchased directly from an authorized Mercedes-Benz dealership prior to January 4, 2011 and you still own the vehicle. You are eligible for complimentary Mercedes-Benz Roadside Assistance. Is out of any Mercedes-Benz Warranty. You are not eligible for complimentary Mercedes-Benz Roadside Assistance. You may purchase individual Roadside services through the Mercedes-Benz Customer Assistance Center. Was not purchased directly from an authorized Mercedes-Benz dealership prior to January 4, 2011. You are not eligible for complimentary Mercedes-Benz Roadside Assistance. You may purchase individual Roadside services through the Mercedes-Benz Customer Assistance Center. *Prior to 1/1/2014 Roadside Assistance will be offered on vehicles which have been serviced at an authorized Mercedes-Benz dealer provided at least $100 was spent in customer pay services and was within 18 months of said services.